All set to stage a Multi-Media Dance & Musical Show led by illustrious Indian film actress Ms. Navya Nair and a team comprising of ten talented danseuses on stage, at 16th Anniversary celebrations of NAFO NAVANEETHAM. 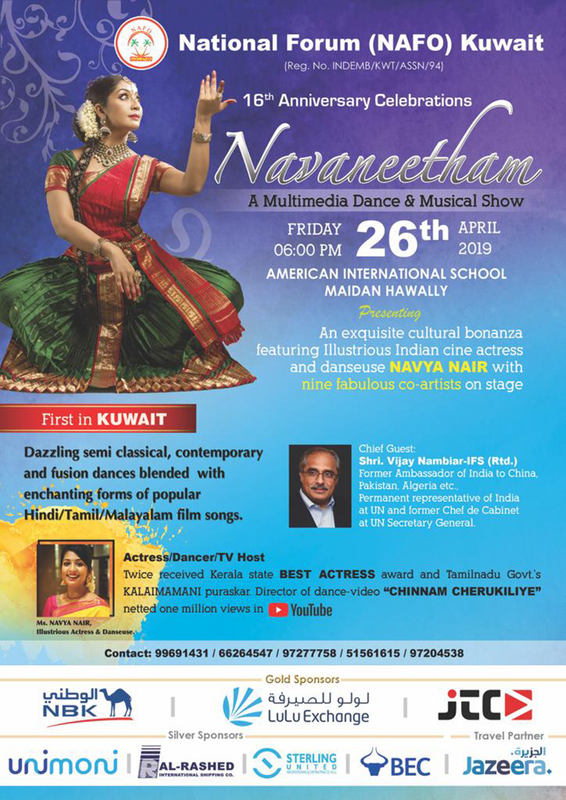 Navaneetham with portrait dazzling semi-classical, contemporary and fusion dances blended with enchanting forms of popular Hindi/Tamil/Malayalam film songs & SHIVOHAM-Navya’s blossom dance-drama form..! 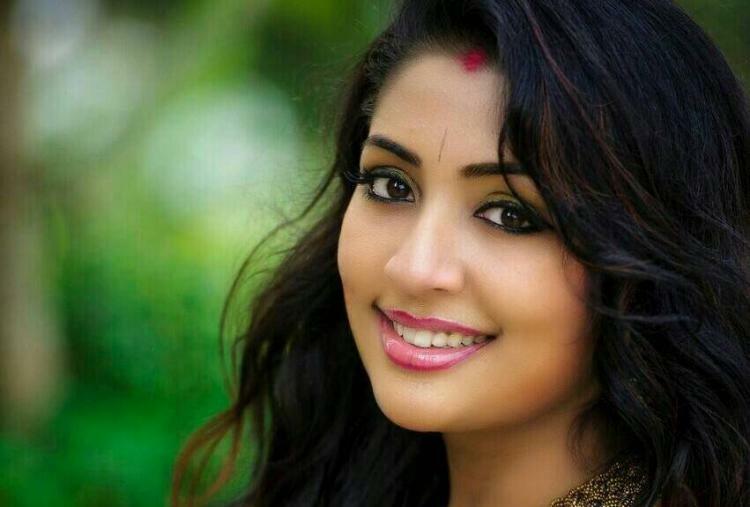 Ms. Navya is a popular Actor, Dancer, TV Host, twice received Kerala state BEST ACTRESS award and Tamilnadu Govt.’s KALAIMANANI puraskar. Navya also directed many dance video albums among “CHINNAM CHERUKILIYE” netted one million views in You-Tube. Keralite diplomat Hon.ble Shri. 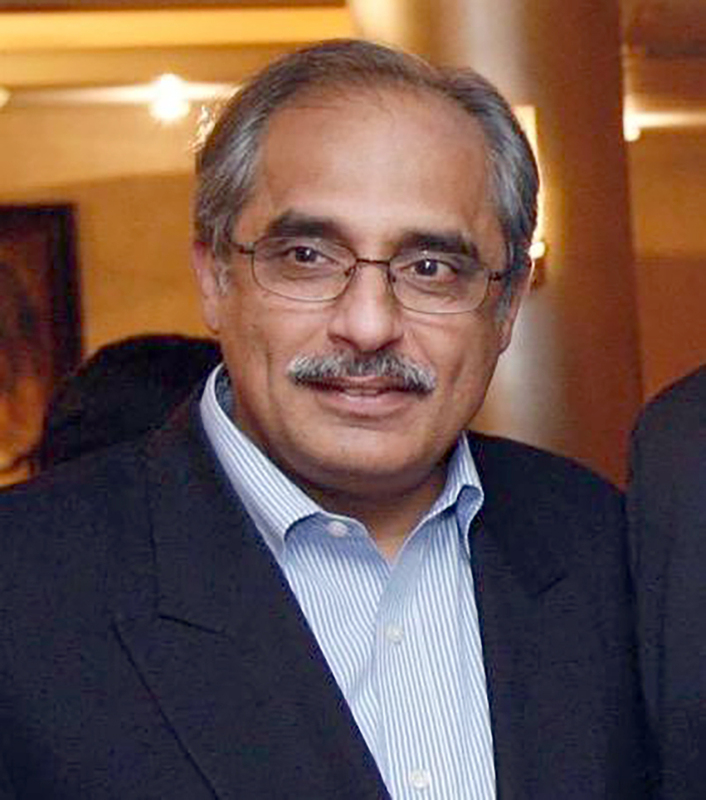 Vijay Nambiar-IFS (Rtd. ), former Ambassador of India to China, Pakistan, Afghanistan, Algeria, Malaysia and haven been the representative of India to UN and Chef-de-cabinet of the UN Secretary General,will be the Chief Guest of the event. Requiring elaborate arrangements for the program, and expecting a large invited crowd, an Organizing Committee is formed to oversee the preparations. Organizers have informed that admission to the show will be strictly restricted through Invitations/Entry Coupons only. NAFO Kuwait, is a familier no-profit, non-political fraternity registered with the Indian Embassy in Kuwait under registration number INDEMB/KWT/ASSN/94, has been rendering social, welfare and cultural services such as Educational/Medical/Welfare Assistance, Academic Excellence Recognitions and promoting the rich and diverse Indian culture and its values etc.